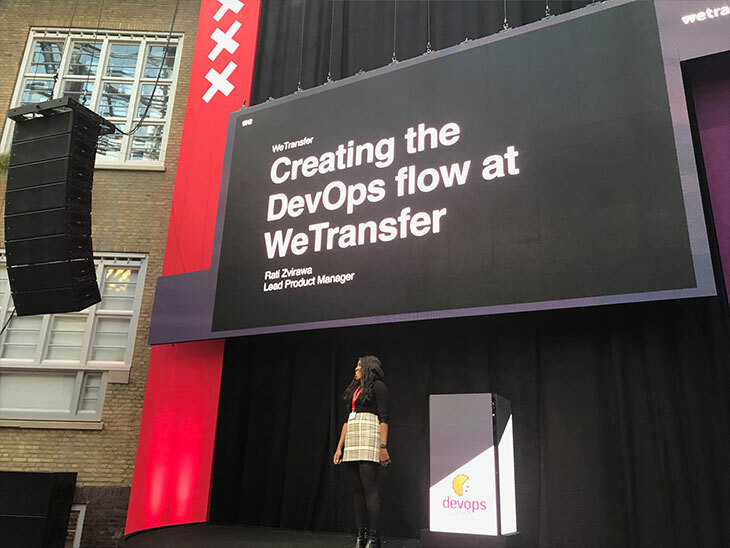 The DevOps Summit Amsterdam was a great success! Xebia’s Marco Lormans host and moderator of the event along with CEO Consultancy Services Andrew de la Haije who delivered a warm welcome to the participants and opened the summit. 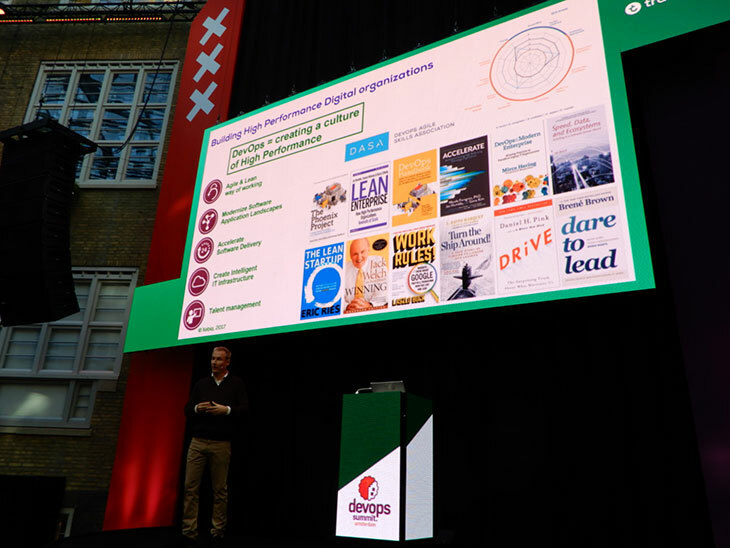 There were over 200 participants from across Europe who came together to listen to Thought Leaders, Pioneers, and DevOps Front Runners all wanting to share knowledge and real-world experiences. We were extremely proud to be a sponsor and be with the Xebia team who are both a DASA Founding member and Forerunner. The key theme during the event was based around seeking an optimal balance between an organization, culture, leadership, people on one hand, and adopting tools on the other hand. DevOps should not be just about finding new and awesome DevOps tools, the organization needs to be taken along as well. Rik Farenhorst, CIO of Transavia referred to this as ‘people first’, one of the key principles of Transavia in their digital transformation. The other principles are: Put authority where the information is, Lead by Example, Live your values and Automate everything you can. Leon Kortekaas, from NN Group, explained that as a leader you have to be involved personally in finding the right people for your teams. 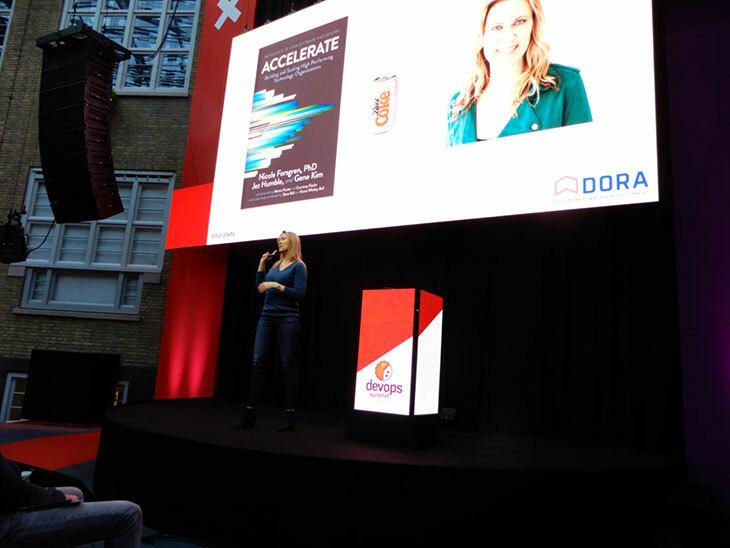 Nicole Forsgren @nicolefv shared some great insights related to the 2018 Accelerate State of DevOps report. It was great to understand the context behind some of the findings that many had read in the report. 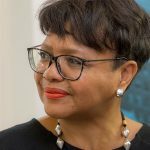 Nicole brought did a back to the future and talked about Nicholas Carr’s IT does not Matter publication in Harvard Business Review (HBR) from 2003. As a result of this publications, enterprises started seeing IT as a utility and started to optimize it for cost savings. This had a significant impact on the ability of IT to innovate during that period of time. Nicole explained clearly that when IT is a utility, and everyone can do it, it should be treated like that. But when IT is able to create a competitive edge for a company – you want more of it. And just like Marketing, or Product Development, you don’t want to treat it as a project, you want to continue to invest in it for the long run. 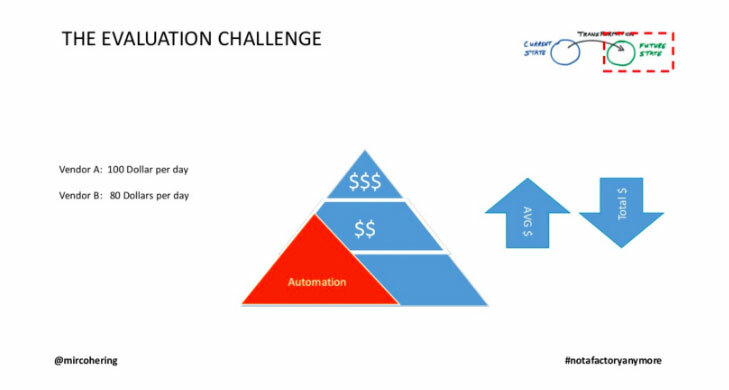 Mirco Hering, Accenture, added to that in his own presentation where he demonstrated as a result of adopting DevOps practices, the average cost per resource goes up, as with automation the lower end work is made redundant. A focus on cost reduction based on per resource spent would prevent DevOps success. Every speaker talked about ‘my teams’, ‘our teams’. No one spoke about departments, functions, silos. Interesting to see that the concept of DevOps or Agile teams has now been so commonly adopted within organizations. Rik Farenhorst discussed that within Transavia they are working hard to make teams more and more autonomous but that the traditional hierarchical structure is still acting as a barrier. Ellis de Haan from ABN Amro explained that ABN is setting very strict boundaries for teams, but that within those boundaries the teams have an extreme freedom to do what they want. Ratidzo Felicia Zvirawa Talked about the tangle of complexity they face at WeTransfer. Dealing with multiple products, a legacy of technology, processes, and structures, and how they are busy untangling that legacy and creating their DevOps flow. 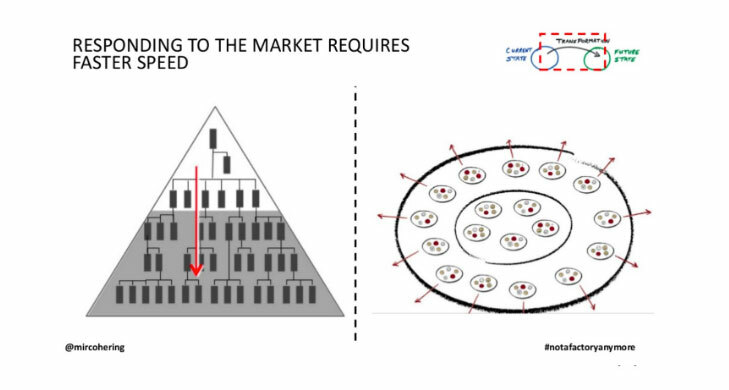 Mirco Hering rationalized the move to autonomous teams and explained that in the past someone thought it was a good idea that someone in the top of the organization, very far away from the customer was calling the shots for everyone else. This was fine, as every car you wanted to buy was a black one. Nowadays organizations need to be much more customer focused to succeed, and this is best done when decisions are made by those who work closest with customers. 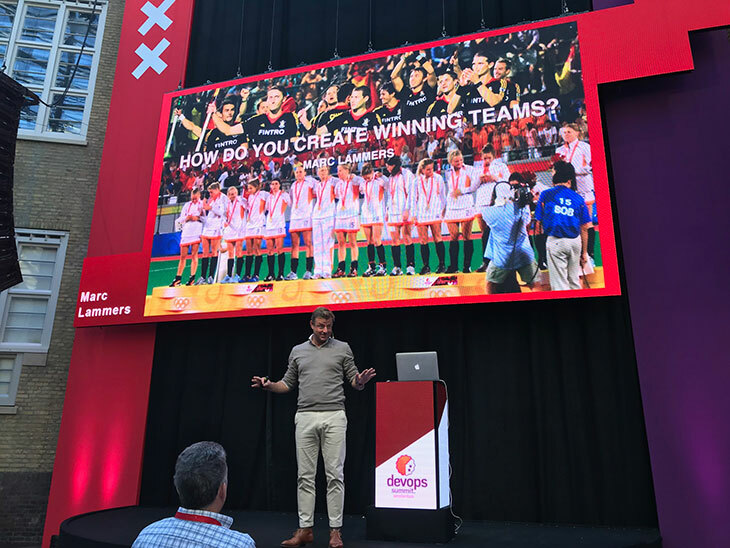 The importance of skilled people and forming them to become a high performing team also came out very nicely in the story of Marc Lammers, former coach of the Dutch Hockey team. His story on how he worked with his team to eventually win the gold medal at the Olympic games showed a lot of comparisons of the stories of other speakers at the event. Marc specifically addressed leadership and his own transformational journey as a critical success factor for his team to win. He learned, made mistakes, and succeeded in becoming an inspirational leader for his team that helped them to become a winning team. Nicole Forsgren said it rightly “Architecture is key, not technology”. A solid architecture is nothing else than having a solid plan in place where a company wants to go to. The plan takes into account the heritage that lives within the organization and identifies the desired state. The journey to DevOps is different for everyone, but some of the key characteristics for most organizations include – building high performing autonomous teams, finding the right talent, recognizing that culture is most important in the process, and yes, also include technology, but don’t let it drive your approach.